Almost four million people in the United States are affected by Alzheimer's disease, one of the most dreaded 'old age' types of conditions because it is so progressive and debilitating. Characterized by disorientation and impaired memory, Alzheimer's can create a strain on all persons involved -- whether the patient or family caregiver. The disease is apparently caused by an attack in the brain, affecting one’s memory, thinking skills and judgment. 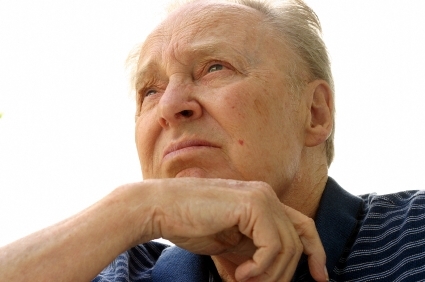 In our Understanding Alzheimer's Disease article series, we take a look at the potential causes of Alzheimer's, early signs and later stages of the disease, and tips for living with someone suffering from Alzheimer's disease. We also explore some suggestions for preventing Alzheimers -- or at least slowing it down -- and some vitamins and supplements that appear to boost brain power. Many of our articles are available in audio format. If you have a hard time reading text online or would just prefer to listen while you do other things, you can hear the articles directly from the web page on which they appear. Many of our articles are approved by licensed medical personnel. Whenever you see the stethoscope icon on an article page, the article has been reviewed by a medical professional. Here are some of this month's features. Everyone seems to have some kind of an allergy. Did you know that peanut allergies are on the rise? Visit our Immune System and Allergies Section for more information. Childhood obesity is a problem worldwide. If your child is overweight or obese, he or she may develop serious medical conditions such as diabetes, sleep apnea, or hypertension. Sleep Apnea - The Other Silent Killer - In our Lungs and Respiratory Section, we explore obstructive sleep apnea and CPAP. "Baby blues" are more common than you may think. But if they last more than two weeks, it could be indicative of more serious problems. Visit the Women's Health Issues. What is it? Neem is clinically proven to be anti-viral, anti-bacterial, anti-fungal, anti-parasitic, analgesic and anti-inflammatory. Neem has been shown to regulate the immune system, lower blood sugars, reduce fevers, fight gum disease, and act as a tonic for the heart. Despised by over 200 species of insects it is a safe and effective insecticide and bug repellent which is harmless to humans. Additionally, neem has been used historically to treat bacterial, fungal, and viral infections, and to boost the immune system. Widely available in India, neem products until recently were virtually absent from the American market, where the scientific validation gives them a competitive edge over many less proven products. Neem is derived from the Neem tree, a fast growing, umbrella shaped, evergreen tree belonging to the mahogany family. Neem has over 4500 hundred years of use in its native India, where it is referred to as the "village pharmacy". Numerous scientific and clinical studies validate neem's many uses. Visit the blog for health and medicine news, updated daily. IMPORTANT DISCLAIMER - Many of the articles contained in this site have been reviewed by licensed medical personnel for their medical accuracy. However, the information provided on this site is for informational purposes only and is not intended as a substitute for advice from your physician or doctor or any information contained on or in any product label or packaging. As always, please consult with a licensed doctor or physician before starting any diet, exercise or supplementation program, before taking any medication, or if you have or suspect you might have a problem. Any products reviewed on this site and the claims made about specific vitamins, supplements or other items or procedures on or through this website have not been evaluated by My Medical Learning Center or the United States Food and Drug Administration and are not approved to diagnose, treat, cure or prevent disease. Please visit our policies page for further information.